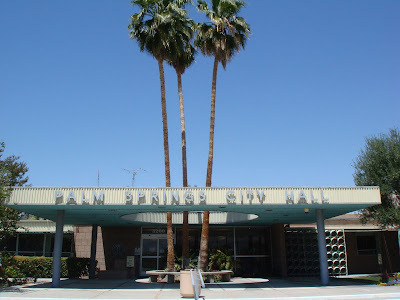 Palm Springs City Hall designed by Albert Frey in 1952 (credit nova68.com). 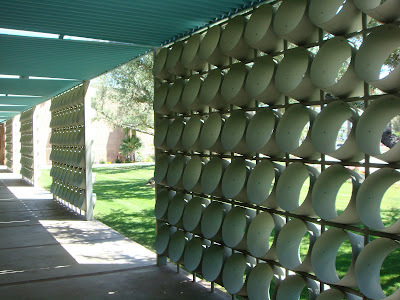 Metal Sun Screen at the Palm Springs City Hall designed by Albert Frey in 1952 (credit nova68.com). 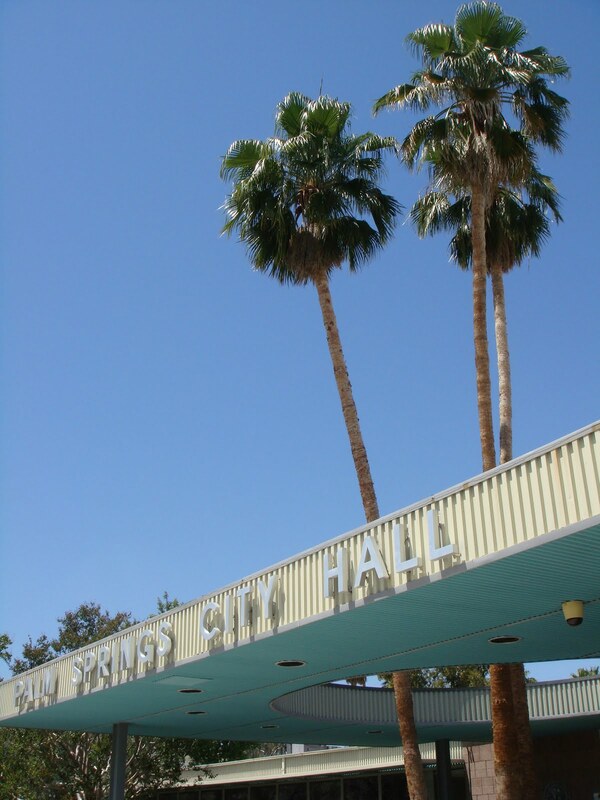 The Palm Springs City Hall is icon of mid century modern architecture. 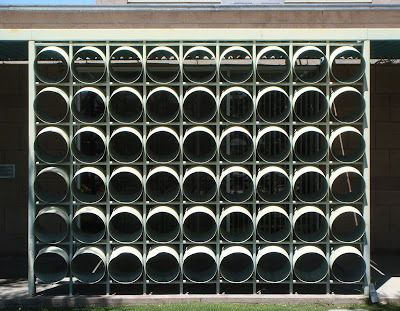 Designed by the architectural team of Albert Frey (Frey, Clark, Chambers, Williams) in 1952. This architecturally significant masterpiece features a very interesting mid century modern screen wall made with metal tubing cut at angles and arranged in columns to block the morning sun. 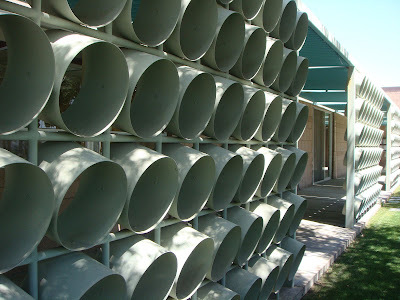 Born in Zurich, Switzerland, Albert Frey received his architectural training at the Institute of Technology in Winterthur, Switzerland, but it was under his apprenticeship with French architect Le Courbusier that Frey’s fascination with modern building materials and modernist design could be indulged. In 1928, he emigrated to the United States, where, besides publishing numerous articles in Architectural Record about the modernist aesthetic, he and his business partner, A. Lawrence Kocher, produced in 1931 the Aluminaire House, a prefabricated modernist house shown at the Allied Arts and Building Products Exhibition. In 1935, he moved to Palm Springs to begin working alongside John Porter Clark at the firm of Van Pelt and Lind Architects. 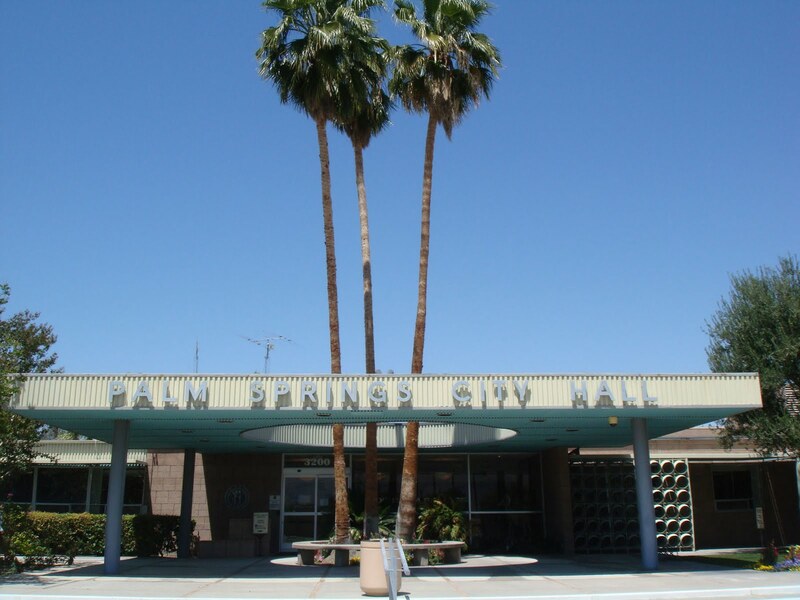 Over the rest of his life, he built two homes for himself, numerous residences, but he capitalized best on the various commercial and public buildings that were being erected all over Palm Springs, completing hundreds of projects until his death in 1998. 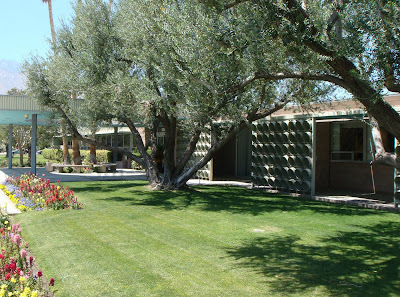 Upon his death, his eponymous industrial-modern home on Palisades Drive behind the Palm Springs Desert Museum was donated to the museum and is occasionally open for tours. 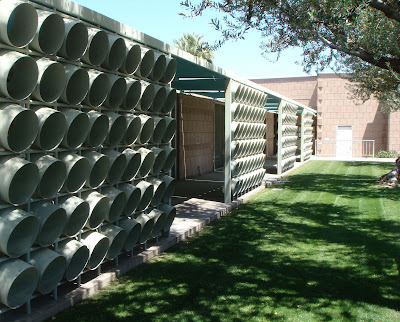 Just a short drive from downtown is the Frey-designed Palm Springs City Hall building, with its interesting yet functional use of metal tubing cut at angles and arranged in columns to block the morning sun. The Swiss-born architect also designed the Movie Colony Hotel, a luxurious getaway that's still open today.